Creating global, sustainable growth through a targeted user experience. INCA Impact Finance (FIF) is a network of 20 community-based microfinance institutions and banks that use fintech to deliver financial services to low-income customers. 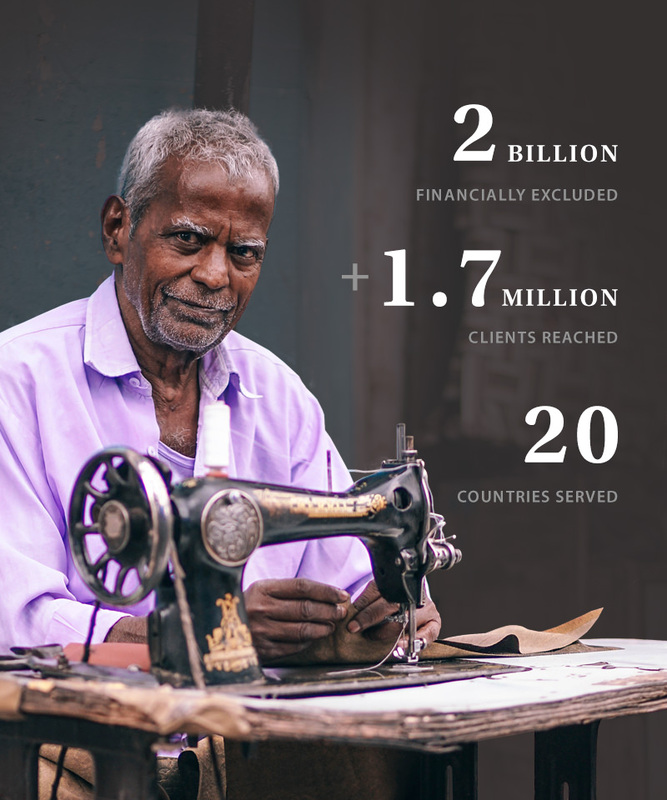 With banks and MFIs spread across five continents, FIF offers finance products that empower people to take control of their financial futures. WDG partnered with FIF to increase awareness of the brand and help engage fintech partners. FIF’s original site needed to be redesigned to better reflect the transformation from NGO to a double bottom line financial services company and to help engage partners and the public about the work FIF does around the world. WDG partnered with FIF to redesign their site to better communicate the breadth of their services and scope of their work across the world. WDG strategists began by establishing proto-personas for FIF target audiences. With job seekers comprising over 50% of site traffic, highlighting the organization’s widespread success was a design priority. Our team showcased FIF’s rich library of resources with a clear navigation structure and streamlined information architecture. Specific design elements like sliders, statistics, and infographics reinforced FIF’s position as an industry leader and served to attract potential partners and talent. A major objective our strategy team tackled was to emphasize the strength and stability of FIF's widespread network. It was imperative to highlight FIF’s position as a thought leader as target audiences included shareholders, social investors, and potential investors. WDG designers created an easily navigable menu structure to maneuver audiences towards banking publications, financial technical news, and other valuable resources with ease. The site needed to reflect FIF’s emphasis on empowering women as over 50% of FIF’s clients are female. Specific pages, assets, and infographics were designed to highlight the social impact of FIF’s successful work with female-owned businesses and clients. Revitalized CMS for D.C.'s favorite news station.